The U.S. Food & Drug Administration (FDA) has published a new webpage discussing the importance of infection control in dental unit waterlines and offering guidance to prevent infection, according to a California Dental Association report. As the webpage notes, while dental unit waterlines typically cannot be sterilized, they should be regularly cleaned and disinfected. Proper cleaning and disinfection can help prevent the collecting of waterborne microorganisms in the dental unit waterline, which can form a biofilm. If dislodged, this biofilm can enter the water stream. Contaminated dental unit waterlines present a patient infection risk, particularly during surgical procedures by direct exposure of waterborne pathogens. Dental professionals are also at risk due to inhalation of aerosols. Establish written standard operating procedures to guide dental personnel in performing infection control procedures for dental unit waterlines. Implement use of equipment and procedures such as separate reservoirs, chemical treatment protocols, use of filtration systems and sterile water delivery systems. Discharge water and air lines for a minimum of 20-30 seconds after each patient to physically flush out patient material that might have entered the dental water system during treatment. Watch for signs that may indicate biofilm formation and clogging of lines. For surgical procedures, use sterile irrigating solutions. Use appropriate delivery devices to deliver sterile irrigating solutions during surgery. Follow recommended service life and maintenance of the dental operative unit and its components and accessories. Follow the manufacturer's instructions to clean and disinfect the dental unit at recommended intervals. 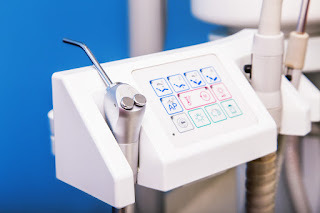 Do not attach dental handpieces or dental instruments to dental unit waterlines that have not been cleaned or disinfected per the manufacturer's instructions. FDA also provides several recommendations for dental unit waterline manufacturers. Access the FDA webpage on dental unit waterlines. If your dental office or oral surgery center needs infection control services, contact the experts at Infection Control Consulting Services. These experienced, knowledgeable dental infection control advisors can provide your facility with a wide range of services, including the development of a comprehensive written dental infection prevention plan, on-site assessments and staff education.